Watch out for black cutwork feeding! As I have been out monitoring my black cutworm pheromone traps I am seeing a spike in moth flights, which could eventually lead to serious black cutworm issues in the next following month. DATCP is projecting that May 20th will be the average date when larvae are reaching their maximum damage potential. 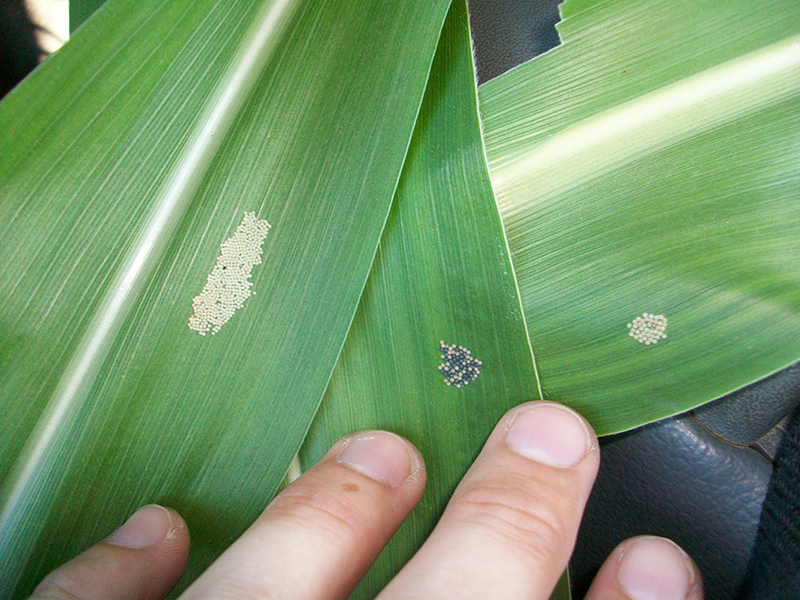 One black cutworm can cut down as many as 4 or 5 plants in its larval stage. With a wide range of hosts black cutworm can be a problem not only in corn but also in soybeans, sunflowers, and other agronomic crops. When scouting be sure to pay attention to low wet areas, patches of fields that have early weed development as well as fields that use reduced tillage systems. 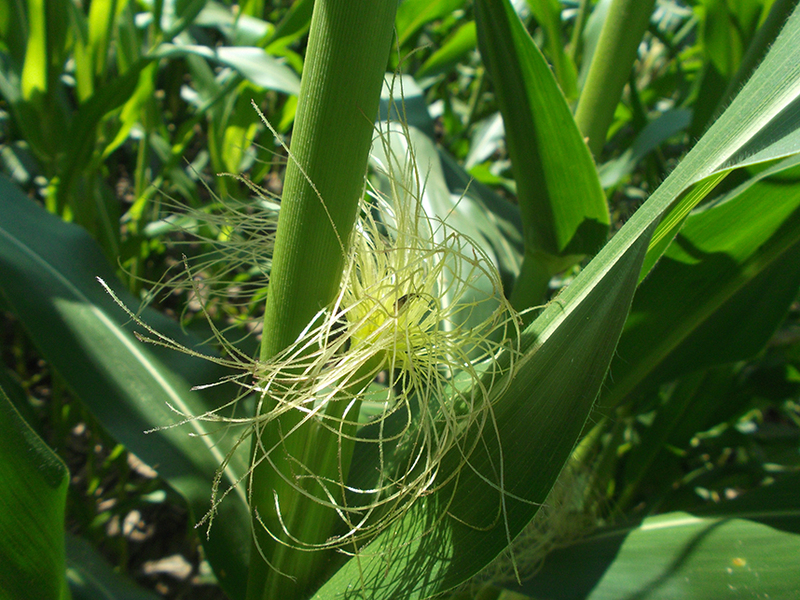 When scouting fields check 10 plants in 10 different areas of the field to record the percent of plants displaying feeding symptoms, if feeding is greater than 3% an insecticide treatment may be considered. Pictured above are the black cutworm moths that I found in my pheromone trap. Evidence of black cutworms feeding on young corn plant. 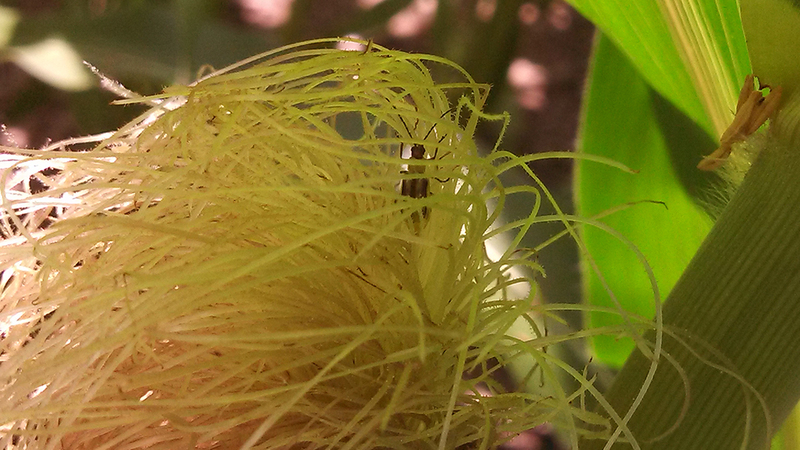 A young corn plant that was cut off by a black cutworm.